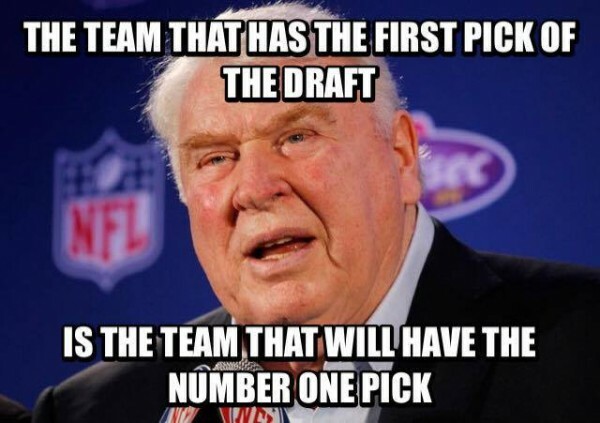 I just want to remind everyone of our annual NFL Draft Chat which will be taking place this year from April 25th to 27th. So whether you're a lifelong fan of the NFL or, like me, you're a lifelong fan of the AAF, feel free to come and join us in pretending we're experts on this year's prospects. You can enter the chat using this link. I'm iffy for day two, but I'll probably be there day one. I'll be there, as always! The draft is a holiday in my calendar, so you can bet I'll be watching!